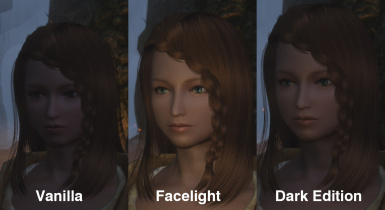 There are improve in face shadows. Beautes ou Bogosses aux Bains - Suite de luxe Si vous voulez profiter de l'éclairage de visage inclu dans BBSL. 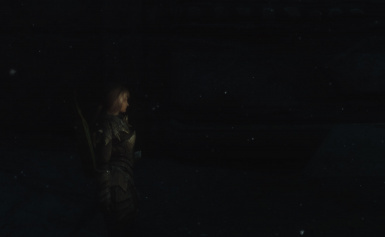 Face Light for Skyrim Special Edition. The function of MCM, Reduced NPC detects and name display is invalid. Because SKSE cannot be used. Added "Facelight Reset" in spell power. It releases all Face Light Targets. Automatically player gets five spells when you load a game for the first time. 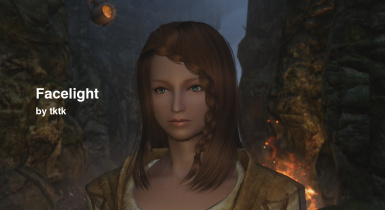 You feel free to use hair data for your follower, NPC. But, you must write the credit(use facelight) in your description. 2016/12/11 2.0 Release SE version. 2018/01/20 2.0 Support Italian language in MCM. Optimized esp and nif for SE.